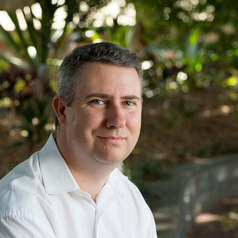 Dr Andrew Campbell is the inaugural Chair of the Cyberpsychology Research Group (@Cyberpsych_Syd) at The University of Sydney and has been researching and teaching in the area of e-Mental Health, Cyberpsychology and Child, Adolescent and Family Mental Health for more than 15 years. Dr Campbell obtained his PhD in psychology in 2003 and was the first psychologist in Australia to research and publish about the use of the Internet for social fearfulness/anxiety self-help. He is often approached to speak in the media on the topic of communication technology and its impact on health and well-being (e.g. video game addiction, social media use, virtual reality, smartphone use, AI, and children's tech use and behaviour). Dr Campbell has conducted research notably in the area of online therapies for depression and anxiety, AD/HD treatment using bio-feedback video games and social networking for managing young people's mental health.